See how partnering with kabango media can help your business today. We strive to be different, to treat our customers different. It is through this philosophy we have forged long standing relationships that have grown into extended family members, not just customers. We will sit down with you and find out your needs as a business, budget, market, etc and find the best product or combination of products to help you. We look at a long term approach, as we want to see this become a successful relationship on both sides for years to come. Your success is our success! 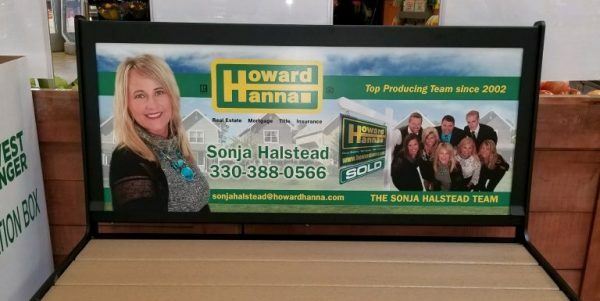 We aren’t here to just sell an ad, then see if you want to renew at the end. We are here to become a partners with you and help advise you on what the best plan of action is for your needs, not ours. Without you, our customer there is no Kabango Media, and that is why we strive everyday to go above and beyond to give the utmost service after the sale. Too often today the customer is looked at as replaceable and disposable. We at Kabango Media feel nothing is more important than loyalty to those who are in our programs. While we can never guarantee results from any marketing program, what we can do is guarantee we will do any and everything the scope of our power to see you be successful as an advertiser with us now and for years to come. We have no shortage of long and short term customers who can verify these claims, simply head over to our testimonials page and see for yourself. 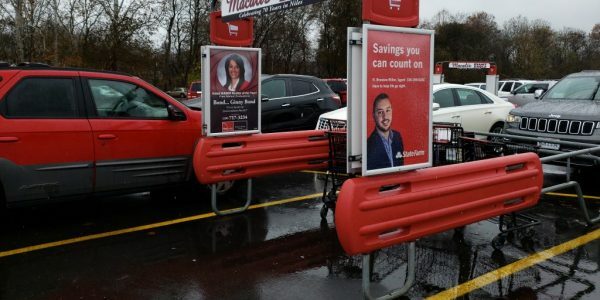 All of our grocery store advertising products are in the optimal location for the best visibility. If you ad cannot be seen everyday all day it does you no good and we are failing to provide an effective service. 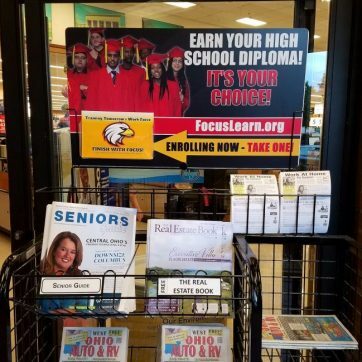 When advertising in the grocery store, you are in the hub of the community and you know the people shopping in that store live in that area. Targeting your marketing dollars are important when it comes to marketing efficiently. We are open Monday to Friday, from 8:00 am to 5:00 pm.